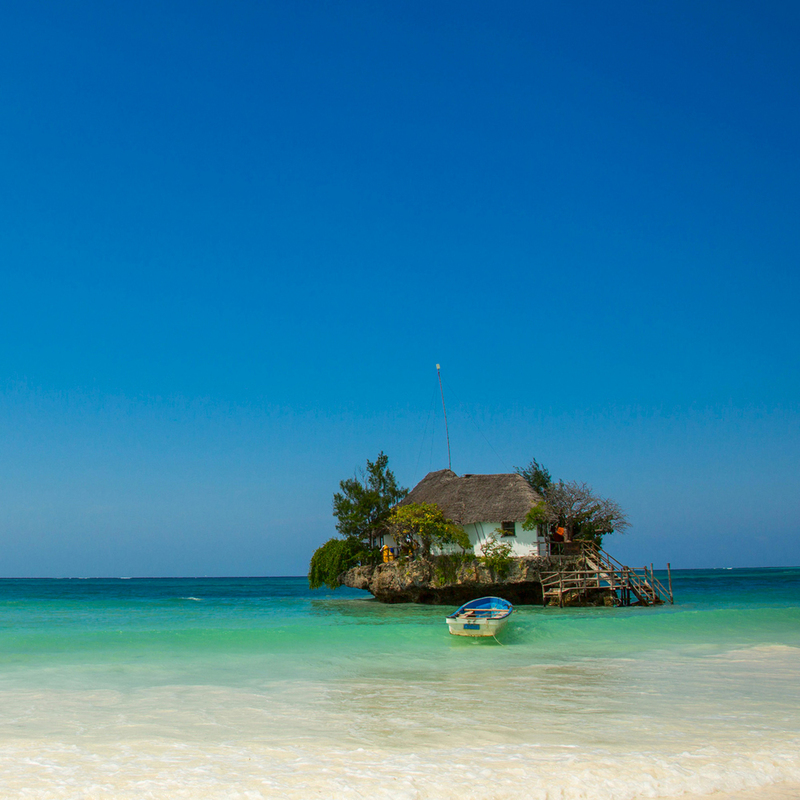 The Rock Restaurant in Zanzibar is taking sea-to-table to an entirely new level with its completely unconventional location. Built on an old fisherman's post, the restaurant gets its namesake from the rock that anchors it to the ocean floor. Getting there can be a bit complicated: When the tide is low, prepare for a short—and slightly wet—walk right up to the restaurant. Once the tide comes in, you're going to need a boat to make it to dinner. Once inside, there are only 12 tables, making it easy to completely lose yourself to the 360-degree views of the Indian Ocean. Aside from the scenery, the "Rock Special" (lobster, cigal, jumbo prawn, fish filet, and calamari all heated on the grill) sounds like it's worth the trip in itself. Reservations seem readily available—now all you need is the plane ticket.